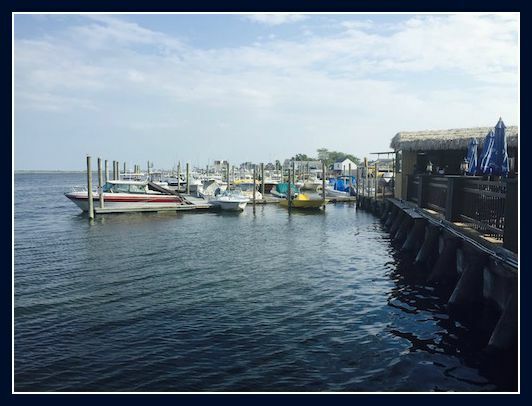 What a spectacular summer this has been on Long Island. Each time I go to the beach, I am filled with wonder. As I watch the waves crash and the children splash I am grateful for the sea opening its arms to all who care to be filled with joy. Inspiration has been the byproduct of endless days of wondering about life and sunshine the backdrop for countless moments to photograph the beauty of Long Island's shores. Photo-editing platforms have provided me the digital tools to frame life through a lens of positivity. I hope your summer days have been filled with the wonders of life as mine have. 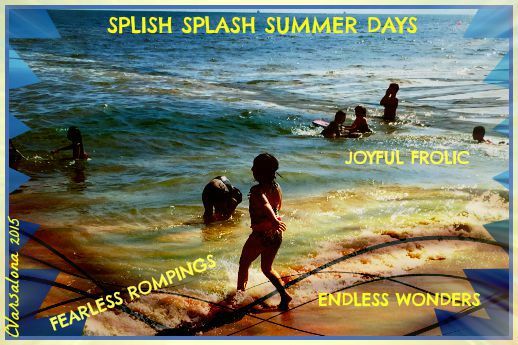 Enjoy a few of my digital inspirations about Long Island summer days that celebrate life. 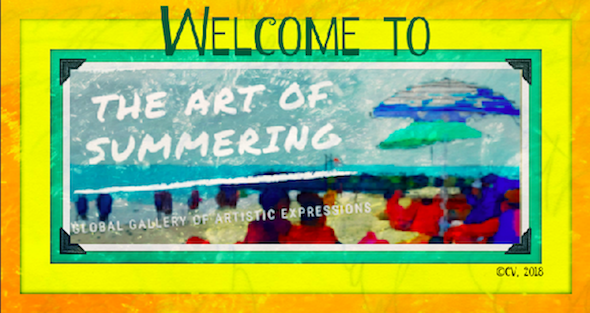 If you are interested, create your own and send them in for my newest gallery, Summer Splashings. and build yet another memory to last throughout September. 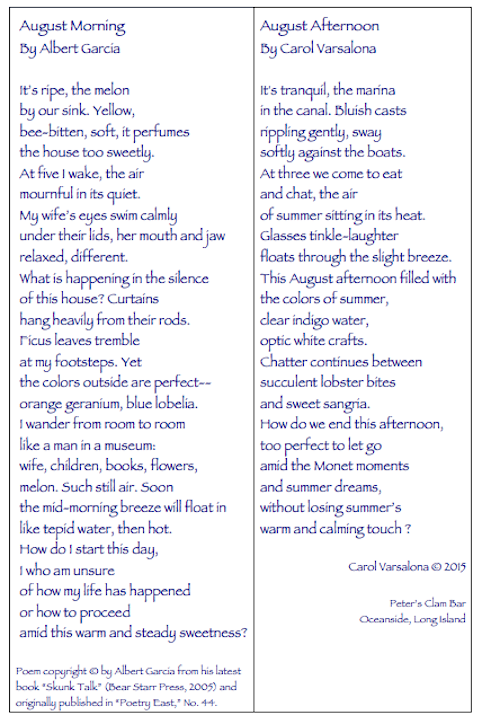 The tranquil summer scene below and Albert Garcia's thoughtful look at an August morning inspired me to compose my own poem to celebrate an afternoon of sun-drenched, delightful moments. The use of a mentor text and a photograph transformed into a digital creation prompted creative flow and word weaving in the silence of an August night. Please visit Sylvia Vardell's site, Poetry for Children, for this week's Poetry Friday Round-Up. I was fortunate to meet Sylvia and Janet Wong at ILA 15 this year and spend a bit of time conversing with them. 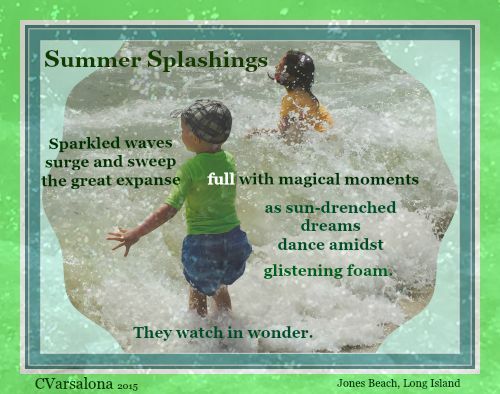 Reminder: I am collecting digitalized inspirations this weekend for an August 31, 2015 deadline to submit your summer creation for Summer Splashings. When sending photographs please make sure that the digitalized inspirations is no larger than 6 x 6.5. Thank you to those who have contributed an those thinking about it. The last of the summer vacation days are coming to a close and the schools in my area will open soon. Outside my window sunshine is painting the landscape a bright cheery color and sunset will remind me that daylight is getting shorter. Summer days are still unfolding right before my eyes and I know there is much to be grateful for. As I recall summer's sun-drenched moments that swept me up in wonder, I can be mindful of all the positives and allow an attitude of gratitude to guide my journey as I begin a new year of learning. 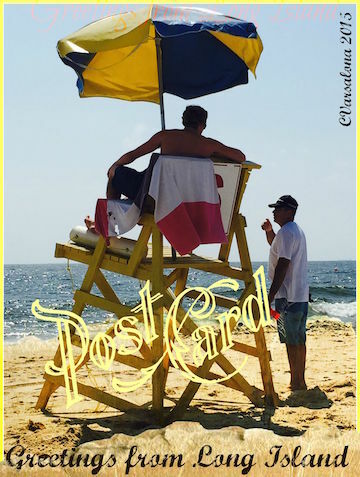 My thoughts linger over the blessings of summer that flowed throughout the vacation months. Those who opened their hearts, saw the gifts the world presented each day as I did. Gifts were present in our surroundings and as we relaxed with a good book. They were there when we sought the possible and when we were inspired by the ordinary. Those wonderful feelings of summer do not have to be left behind though. They can be brought into the school year to keep the flow of positivity going. With an abundant mindset, the new year can be greeted by those believing in the possible for each learner. Why not present an everlasting gift to learners? Scent the air with an attitude of gratitude and allow whiffs of positivity to permeate the classroom. As many teachers are getting their creative vibes flowing, I would like to add one more idea to start the year off on a positive note. It is one that can be part of your literacy toolkit and used to build a culture of trust. In addition it can steer the course of the learning journey. While designing your room and lessons pause to ask what it is you are grateful for. Let your passion for teaching light up your room and create a positive flow of energy that will be present on day one. Listen to Grateful: A Love Song to the World and let the music create an additional layer of positivity to flow through the classroom and into the hearts of your learners. Have a growth mindset leading to an abundant one filled with gratitudes. Upon arrival in September, present each child with a back-to-school, I am grateful heart on a ribbon. On the first day, distribute from-teacher-to-learner gratitude hearts that hold an assortment of generic messages. 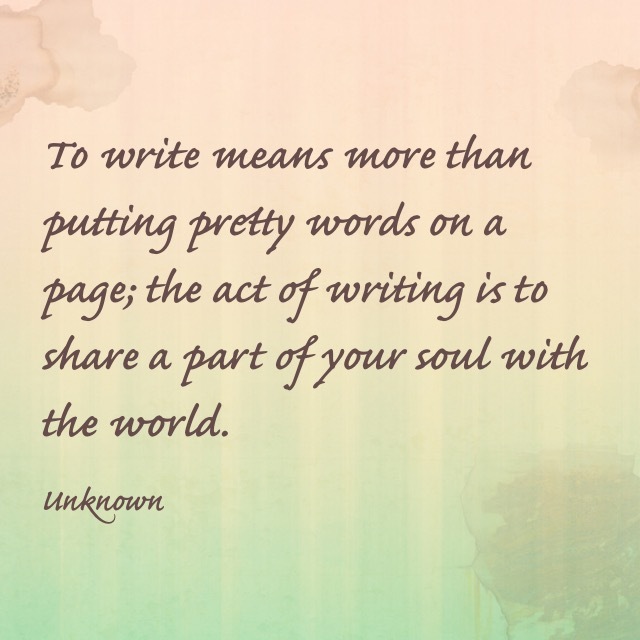 Follow this with blank hearts for writing inspirational messages on day two. On each I am grateful message, learners can share their summer "wonders" that amazed them. 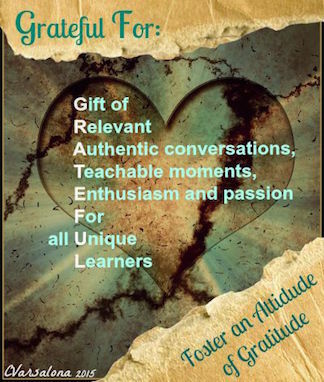 These will be passed on to other students so each learner has one heart to discuss why is the gratitude take-away. On day three, the hearts can be joined together to form a garland signifying a bond of strong classroom unity. Building a culture of trust on gratitude will bring positivity to the forefront. Collaborative conversations will flow and you will fill the room with an attitude of gratitude. This can be the beginning of a year to remember as you keep the I am grateful hearts filled with inspirational messages flowing throughout the months. 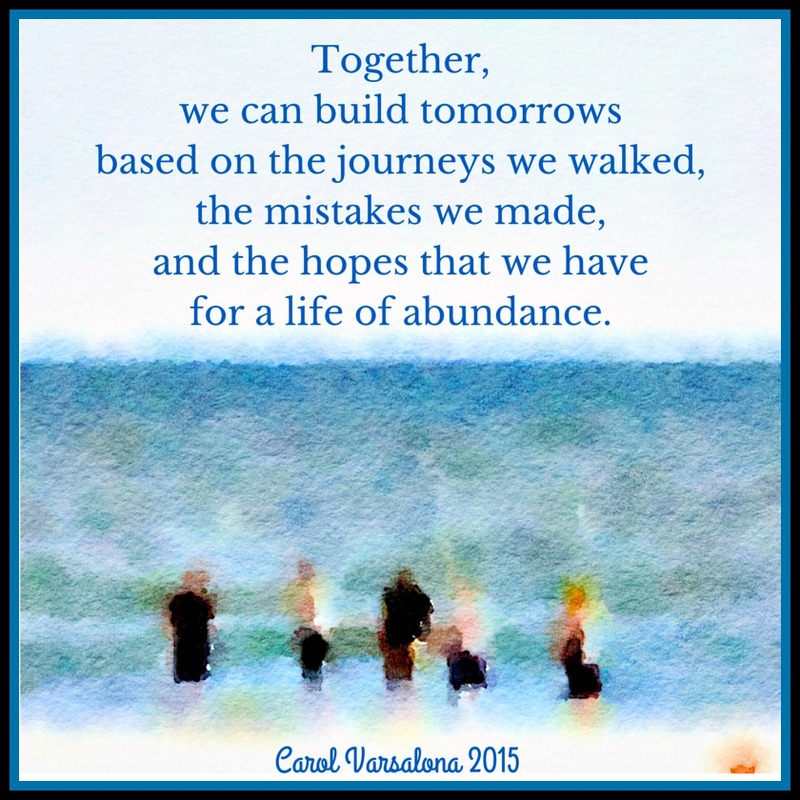 We are all on a journey of discovery so why not make it one that is filled with gratitude for all that is WONDERful in the world of learning. Be mindful of where you want to lead your students and be grateful for each and everyone of them whose hearts you touch. 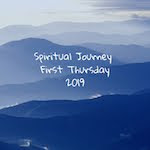 Please visit Holly Mueller's site to read how others are writing from their heart on Spiritual Journey Thursday. When the day calls for sun-drenched inspiration my family and I pack up for a quick jaunt to the Long Island shoreline. The usual accoutrements travel with us: a book, newspapers, suntan lotion, refreshments, chairs, and a patchwork blanket. The walk down to Jones Beach is a short one on a stretch of blue netting carefully placed on top of the sand for sure footing. People-gazing down the walkway is a must as is the search for the best spot to relax for the brief stay. All sorts of folks frequent Jones Beach that has been a favorite haunt of beachgoers for decades. Families line the beachfront with their colored umbrellas and sand equipment. Children frolic in the waves and dig trenches in the sand. The seagulls often swoosh down along the shore so people carefully hide their food. The shrieking birds balk at the unpleasant behavior of humans and continue their search without haste. An afternoon at the beach can be filled with wonder. Some daring folk plop chairs at the shoreline watching for the waves to rush in. Sea-shelled walks and children squealing with delight add to enjoyment of a few hours spent in pure relaxation. Reading, walking, ocean dipping, and people gazing are all part of shoreline delight when at the beach. My iPhone captures it all. There has been no shortage of inspiration this summer. Here are a few digitalized inspirations that I created after my afternoon at the beach. I started with a salt water splashing and transformed the sea foam into digitalized inspirations. How do you find wonder on sun-drenched days? 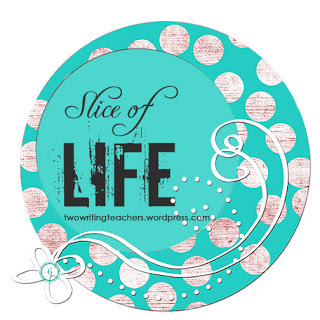 Please visit the Two Writing Teachers for the Tuesday Slice of Life.